“Holding faith, and a good conscience; which some having put away concerning faith have made shipwreck: Of whom is Hymenaeus and Alexander, whom I have delivered unto Satan, that they may learn not to blaspheme” (I Timothy 1:19,20). “Absolutely not!” comes the stock answer. “The Holy Spirit cannot coexist in the same body with a demon!” This answer is designed to shut off all further inquiry, to close the mind even to the possibility as unthinkable. It is invoked with the insistence of a slogan. Yet it is not a Scriptural answer! It is an extra-Biblical piece of logic that stands quite by itself. This often-heard statement does not rest on scripture but on an assumption. Actually, the answer to both questions above is a definite “YES!” It is a particularly dangerous delusion to think that Satan or the demons, adopt any kind of a hands-off policy toward believers. In fact, they affect and afflict believers as far as possible. They buffet, oppose, seek to tempt or deceive or lead them astray. They look for and quickly seize any advantage to handicap and hinder believers. Almost one hundred percent of our deliverance ministry has been among the born-again believers; most of them also baptized-in-the-spirit. 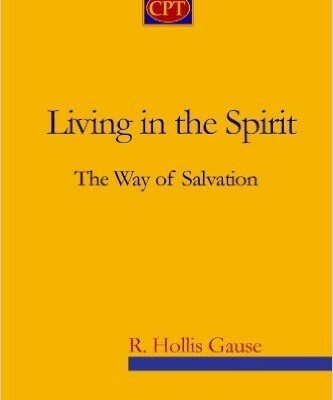 Being saved, and even being baptized in the Holy Spirit, is no guarantee against the inroads of the evil spirits. Through these or subsequent spiritual experiences there is no automatic disposal of evil spirits. It is possible however that demons may be rendered temporarily inactive and unable to function for a time. So long as they are still present there is always the danger of a “revival” of their power during times of stress and pressure. This explains the necessity of removing them completely. 1. The believer is inhabited by the Holy Spirit; therefore demons cannot coexist within the same body. Usually the proof text used is 1 Corinthians 2:12; however the verse does NOT say this. 2. Jesus came to destroy the works of the devil (I John 3:8), and indeed He did. In the case of problems caused by demons, the remedy and method of doing this is cast out the demons in His name. 3. The struggle inside the believer is always revealed to be the struggle between the flesh and the Spirit; not a struggle involving demons (Romans 6 and 7). Were that the case, the conscientious claiming of the promises of God would solve every human problem. 4. The believer is delivered from the power of Satan and his demons (Colossians 1:12,13; Ephesians 2:1-3). Yes, but like many other promises, not automatically, but only as we voluntarily meet God’s conditions for deliverance. 5. The Christian is provided with complete protection from the fiery darts of the enemy (Ephesians 6). This overlooks the rather obvious fact that the armor is designed for defense from external, not internal enemies; also even so the believer’s armor is not always in place. In spite of these arguments, the dismaying fact remains that born-again Christians, including leaders, are having horrendous difficulties and problems. These can find no solution in natural infirmities or the endless conflict between the flesh and the Spirit. It is no secret that many have become discouraged and filled with awful despair. Some have dropped by the wayside, others have even committed suicide in their desperate inability to find a solution within the framework of their theological understandings. There is an excellent presentation of the whole question in Don Basham’s book, Can A Christian Have a Demon? Non-charismatic writers Frances Manuel, Merrill Unger, Mark Bubeck and Robert Peterson also teach that Christians can and do have demons. We dare not rest a theological differentiation about the work of demons on a distinction in language which does not exist in the original. Believers were definitely subjected to demonic attack in the Scriptures. The physical afflictions and other disasters of Job are shown to be Satan’s work in Job 1 and 2. In the synagogue there was a man with an unclean spirit (Mark 1:23). A woman called “a daughter of Abraham” (Father of the faithful) was bound with a spirit of infirmity for eighteen years (Luke 13:11-16). There is no reason to conclude arbitrarily in the two latter cases that the persons involved were not believers. Paul discusses contention and disputing over doctrine in 2 Timothy 2:23-26. There believers are indicated who evidently have slipped and need to “recover themselves from the snare of the devil, who are taken captive of him at his will.” A member of the church in Corinth seems to have been overcome by a spirit of lust (1 Corinthians 5:1-5). Jesus rebuked a spirit of fever in Peter’s mother-in-law (Luke 4;38-39). When he left her she was well. In Mark 9:25, Jesus uses this same term to rebuke Satan. Sickness is described as an oppression of the devil in Acts 10:38. Jesus often healed by removing spirits of infirmity, which are simply another method of Satanic attack (See Luke 4:40,41). One moment Peter spoke by Divine revelation, declaring that Jesus was the very Christ. In the next he was reprimanded by Jesus rebuking Satan in him. In Galatians 3:1, Paul inquired about who had bewitched believers to draw them away from the truth. The aftermath of this was not just the effects of wrong mental impressions conveyed by false teachers. Evil spirits had imposed false doctrine by using fraudulent teachers. These references emphatically do NOT suggest that believers enjoy an easy exemption from the activities of demons but are particularly targeted by them. When the power of God begins to move in a person’s life, quite naturally he becomes an object for the devil’s most crippling attacks. This should not bring despair or fear to the believer for the strength of God is greater than all the power of the evil. The unreasoning fear of demons is directly fostered and promoted by Satan and his hosts. This prevents intelligent interference with their program by keeping it shrouded in darkness and mystery. Personally I have seen case after case of people who became disturbed, upset and genuinely frightened at the mention of casting out demons. Later they received deliverance from wicked spirits. Following this, they became fearless, enthusiastic warriors in the fight to free other bound ones. It is always a blessing to see truths, not mere speculations, in print concerning spiritual warfare. Satan never misses an opportunity to pound away, arguing that the majority must be right. Accusations fly that you have gone off your “theological rocker” to become involved in anything so controversial. After all, this is actively and determinedly opposed by a great majority of the professing brethren. How reassuring to hear now and then from a brother who is discovering some of the same truths and insights which you have received. I shudder when I hear someone remark skeptically, “Well, I just can’t believe that. I’d have to see it first.” They seek to shield themselves by mere ignorance! Take care, you may well experience manifestations in yourself and in your immediate family to chasten you. I believe Satan is sometimes enraged when people doubt that he is able to provoke all of the wild and outlandish manifestations of demons in a deliverance session. If someone sneers at the idea that the devil can work in certain ways, they could find out the hard way through personal or family consequences. To me it was as foolish as telling Peter he could not walk on the water when he was already doing it. It was as pointless as the demon who indignantly informed me that I could not come against him. I pointed out that I was already doing it and that he was powerless to stop me. It is like trying to prove the sky is blue on a clear day or that water is wet. Such self-evident truths, but they are so difficult to show to those predisposed to disbelieve and reject them. Amazing, too, is the fact that so many of the critics are well-versed in many crucial doctrinal matters in scripture. How sad that Satan has managed to hoodwink them in this vital area. A person is born again by confessing his sin and asking the Lord Jesus Christ to come into his heart and save him (Romans 3:23,24; 6:23; Revelation 3:20). He is received by the Heavenly Father and salvation comes instantaneously in the experience of the new birth. Love, joy and peace are the initial and logical by-products. The Holy Spirit comes to indwell and seal the believer as God’s earnest of redemption (Ephesians 1:13,14). His abiding presence is guaranteed until the believer is redeemed completely (in point of time) by being taken to be with the Lord. This can be through the door of death or through the door in the sky (1 Thessalonians 4:16,17). The Holy Spirit inhabits the body of the believer in a peculiar and special way since that special Day of Pentecost, when He was poured out on the assembled believers as the promise of the Father (Acts 1:8). The child of God (John 1:12) is accepted in the Beloved, Jesus, (Ephesians 1:6) and blessed with the assurance of God’s presence and blessing (John 10:28-30). In spite of these wonderful changes, however, scarcely a week will pass in a babe’s life, that he will not be convicted of sins of omission or commission (James 4:17), which must be confessed and put away (I John 1:9; Proverbs 28:13). This will continue indefinitely as long as the believer is growing in grace and in the knowledge of the Lord Jesus Christ. Many of these sins of omission and commission were present at the time of conversion. Some will lie unnoticed by the believer for months, until the Lord deals with them. The Holy Spirit is able to coexist with these unconfessed sins. Why then is it so difficult to accept the fact that the Holy Spirit is able to also coexist with indwelling demons until they are detected, hated, renounced, and expelled in the name of our Lord Jesus Christ? 1. Demons at Work in the World Today by Donard R. Jacobs, © 1972 by Herald Press, Scottsdale, PA 15683. Used by permission, p. 38. 2. Demons in the World Today by Merrill F. Unger, © 1971 by Tyndale House Publ., Wheaton IL l60187. Used by permission, p. 113. 4. Angels of Light by Hobart Freeman, © 1969 by Logos Internatl, Plainfield, NJ 07060. Used by permission pp. 73,74. 5. Expelling Demons by Derek Prince, by Derek Prince Pub., Ft. Lauderdale, FL. Used by permission p. 4. 6. Freeman, op. cit. p. 75. 7. Alliance Witness by V. Raymond Edmond, April 26, 1967, Vol. 102, #9, p. 22. 8. Are Demons for Real? by Robert Peterson, © 1968 by Overseas Miss. Fellowsh, Moody Press, Chicago IL. Used by permission. p. 98. 9. Can a Christian Have a Demon? by Don Basham, © 1971 Whitaker Books, Monroeville, PA. Used by permission p. 51. The following is an excerpt from “How Demons Operate, Booklet #16″ by Pastor Win Worley. Copyright © 1983 by Win Worley, Revised © 1991. All rights reserved. No part of this publication may be reproduced or transmitted in any form or by any means, electronic or mechanical, including storage and retrieval system, without securing permission in writing from the publisher, WRW Publications, PO Box 852626, Mesquite, TX 75185. What was Jesus referring to by "the eye of the needle"? What is the covenant of Daniel 9:27? It appears that some (c)hristians are more than willing to lessen and question the Attributes, Characteristics, and Deity of Jesus while at the same time extend more power, ability, authority, and undue (r)espect to the devil, satan, the realm of darkness. “Almost one hundred percent of our deliverance ministry has been among the born-again believers; most of them also baptized-in-the-spirit. Being saved, and even being baptized in the Holy Spirit, is no guarantee against the inroads of the evil spirits.”. Delivered (in all of it’s word forms). Experience does not supercede The Word. Ever.. It is more likely that those claiming to be believers, born again, and Spirit Baptized who need deliverence are not what they perceive themselves to be. [Not all tongue talkers are Holy Spirit tongues and front God. Need I address the other gifts that are counterfeits from satan?]. They miss you can’t serve TWO masters. Is it possible for light to be darkness and for darkness to be light? A study by Barna a couple years ago revealed that 80% of church attendees thought they were genuinely saved yet according to the answers that they gave on personal lifestyles, habits, and doctrinal beliefs they are not. 80%, of church attendees and just look at who the deliverence people are dealing with almost 100% of the time. Yeap, He admonished them to examine themselves as to were they what and who they believed themselves to be. No wonder the (c)hurch is in the shape it is. Robert Borders In his tract, “Demon Activity and the Christian,” Ernest B. Rockstad rightly concludes that: “Experience of course is not the basis for the interpretation of the Bible. Nevertheless, if consistent experiences run counter to an interpretation, the dedicated seeker after truth will set out to find the reason. He must be willing to re-study his interpretation under the direction of the Holy Spirit… and be prepared to make any necessary corrections in his own beliefs so as to be in full agreement with the facts as they are.” He further points out that understanding the Biblical doctrine of human depravity should cause one to wonder that the Holy Spirit would enter a person under any circumstances. You cannot argue anyone into believing that the ancient fundamental stand against Christians having demons is fallacious. Donald Jacobs illustrates it this way: “There once lived a skeptical fisherman who heard unbelievable stories about people catching fish two feet long. He had never caught one over twelve inches. One day he caught one three feet long, held it by the tail, shook his head, threw it back into the water and said, `Just another lie.’ Likewise, faced with the evidence of a `real live demon,’ a western man would probably react just about this way. `There are just no such things,’ he would say.” There is an excellent presentation of the whole question in Don Basham’s book, Can A Christian Have a Demon? Non-charismatic writers Frances Manuel, Merrill Unger, Mark Bubeck and Robert Peterson also teach that Christians can and do have demons. No argument here. Holy devout men that devoted their lives to the study of Scripture had Jesus crucified and many of His followers put to death. I doubt that Jesus would be accepted by most churches today. My church members are not having the issues or giving me the issues that other ministers say their members are. I wonder why. I deal with people who are oppressed (severally). I deal with people who say they are Christians and are not – no fruit, meat for repentance. You said, “if consistent experiences run counter to an interpretation…. But then you get *derailed* by implying that the Holy Spirit will make us line up with the “facts” such as they are. That is where you and I will never agree. The facts come to Jesus. Jesus does not come to the facts WITHOUT the facts bowing to him. The FACT is people say that they are saved and you have no idea if they are. The FACT is that people say they are spirit filled and you have no factual proof that they are or ever were. Where do you draw the line (in your theology) between the unsaved, and the saved who have devils and are possessed or oppressed? anyone that says they are saved must be. Anyone speaking in a different language must be the Holy Ghost. I have a brother who claims to be saved and once he was, we casted 2 devils out of him. I can name them and give their purposes. He is now a professing, practicing, outspoken, (his words) flaming homosexual. He quotes scripture he witnesses to others and even uses the religious based AA 12 steps to help others. IS he currently a born-again faith believing Jesus Christ following Christian. Then read his castaway here. She says she is a christian. And she has been, as a matter of fact we casted 8 devils/demons out of her – I can give their names, character, and purposes. She is cohabitating thus is a fornicator, a drunkard, a prescription druggie, and illegal drug user. She is a striker (to the extent she fights her boyfriend often and three weeks ago she fought her father all but literally biting 3 chunks out of his arms). She split his head open with a glass first. She talks to her parents worse than you would a stray animal. (How is their later end worse for them than the beginning IF they are saved but just simply oppressed or saved and having that little possession thing going on in themselves?). Looking diligently lest any man fail of the grace of God; lest any root of bitterness springing up trouble you, and thereby many be defiled; Lest there be any fornicator, or profane person, as Esau, who for one morsel of meat sold his birthright. I do not put much faith in Unger, or any other man crossing the Bible. Especially when they contradict the Bible. I do agree with him in his 1952 statement. He is a man. Simply and just a man. “So the claims of the missionaries APPEAR valid”. What did you say earlier concerning the FACTS as they are? Seems mighty “iffy” when it deals with the eternal souls of people. Why do you not address the valid questions and scriptures that I presented to you? Waiting on your conclusion to my brother and then to my sister. Give me one place in the Bible that Jesus saved a person forgiving their sins and they kept a devil. Were any left behind in anyone that Jesus healed from spirits of sickness, infirmity, devils, or evil spirits?…. Did I say I had not used him? I said that I did not put much faith in him. He is just simply a man. I mean, according to you he has changed his spots. What else has he been wrong about. Like you said, look at who all have used him. How many have Unger lead astray if you are correct? I think we discovered the issue. Do people not read, or do they just not comprehend what they read?. I inserted a picture of a book from my bookcase. Are you not going to address Matt 6:22-24? Let’s get around to Matt 12:43-45 also. Ask how did you make the jump from saints being possessed to Unger teaching on tongues? You see, there we go. Are e even having the same conversation? Acts 8:9-24 Simon, a believer, needed deliverance from the occult. He had believed in Christ but still had the heart of an occult sorcerer. He was still a captive to sin even after he had believed and been baptized. 1 Cor 5:1-5 These verses speak of a believer filled with a spirit of lust and as a result, delivered over to satan for the destruction of his sinful nature and hopefully the salvation of his spirit. 2 Cor 2:10-11 Lest Satan should get an advantage of us – Satan can “get an advantage” over a believer? Gal. 3:1 You foolish Galatians! Who has bewitched you? I Corinthians 5 does not say the guy had a spirit of lust. said he had his fathers wife – what spirit is that? Troy Day I always thought his father was married to a human rather than just a spirit. Isn’t assuming a demon was involved and using the passage as evidence for demons circular reasoning? I haven’t spoken at this site. But wish to speak now concerning this important topic. A born again, Spirit filled Christian cannot be demon possessed! But a nominal Christian can be. There’s a difference between demon possession and demon oppression.